A very special variety, attractive against silver foliage, where the highly scented, 4cm (1.5in) blooms are shown to their best. 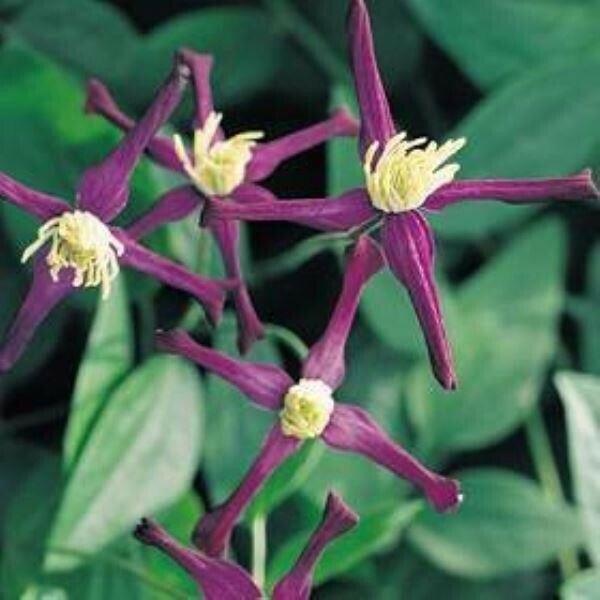 This graceful climber has strongly fragrant flowers from July to October, and is unusual in clematis with very deep violet, almost black flowers contrasted by pale yellow stamens. The blooms are produced from July through to September and looks particularly attractive when planted against a light background or growing through other shrubs. On account of its sweet scent it's ideal for planting near windows, benches or any other popular place of social gathering. Supplied in approx 2-3 litre containers.